Every year we challenge you to form a new discipline or practice. The last two years we read 12 books in 12 months. In years prior we challenged you to attend church 52 times in one year or to read through the entire Bible in one year. 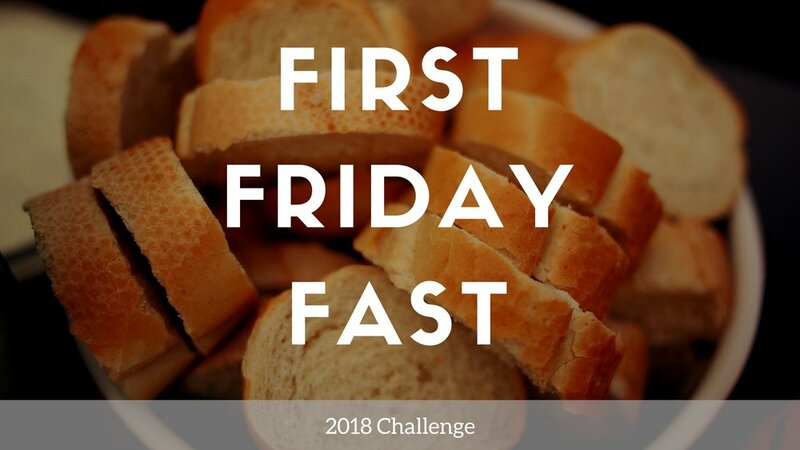 This year we are challenging everyone to join us in fasting on the first Friday of every month. We will provide a guide for your prayers each month and some instructions on how and why we should fast together. All members who fast for all 12 Fridays will be invited to a year-end party to celebrate the answers to our prayers. Sign-up so that we know you'll be joining us.